"Honoring Our Heros and Sheros"
In October, 2004, Help Kenyan Children Survive and Thrive, filed and received official advanced recognition as a 501 (c) (3) international humanitarian organization. We were able to reach this point and continue because family, friends, organizations and churches believed in our service and supported our work with Kenyan children. We will honor all those compassionate people, age sixty-five and above and the organizations and churches who joined us on this wonderful world of service. Click Here for a copy of the invitation to the Tenth Anniversary Tea. To order-Select items, add total amount, make check to Help Kenyan Children ...Thrive, include name, address, email/tel. number; mail to Help Kenyan Children ...Thrive, 12680 Maude Ct., Pine Grove 95665. 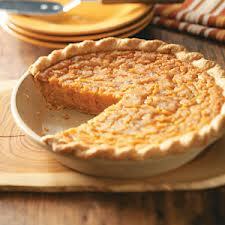 Volunteer and help with the baking and preparation of the pies Nov. 15-16, between 9:00AM-4:00PM. Contact Marjorie Craig at craigmarjorie11@yahoo.com or call (209) 296-2710 and indicate hours available. No experience required. Projected cost $5,500.00-Includes airfare, room and board ( two meals per day), ground transportation, basic travel insurance , contribution to project, and an exciting Safari. Projected cost subject to change due to economic fluctuations. Please contact us for assistance with the ways you may raise funds to help pay for your mission.